As an executive, you have had to conduct many interviews of potential candidates before, and despite many years of experience, it doesn’t necessarily ease the nerves when facing an interview yourself. It’s important to remember that being prepared for an interview is the most important thing. You might be a great asset to a company, but unless you demonstrate that in the short space of time you have in the interview then the interviewer can’t possibly know that. Therefore some research of the company and even the interviewer, if possible, is essential in preparation. As mentioned earlier, it can be very daunting being on the other side of the table, especially when so many executives understand what a hard time they themselves give interviewees! However when anticipating what to expect it can very hard to provide a straight answer. There is no one way of conducting an interview and it will depend on the company and people that are interviewing you, but you can be prepared and make sure you are ready for any eventualities that do come about. There are many different interview scenarios that I have come across whilst talking with clients and through research. Research – You can never know too much about the company interviewing you and it will be a great way to visualize yourself there and give you confidence. Hunger – Look like you want that job more than anything else, if they get any hint that you are half hearted in your attitude it will be an excuse to say no. It is much easier to say no once they have offered you the job than to get a second chance. Enthusiasm – This is a great quality in any situation but in an interview the right level of enthusiasm will inspire confidence and energy and ultimately they will be hiring someone they feel they can work with. This is very appropriate if you are looking to relocate and not currently in the country of application. Your objective is to be invited for a personal face-to-face interview. To ensure this, introduce yourself clearly. Engage in some rapport building small talk. Modulate your voice and speak clearly into the receiver. Your voice is the only tool you can use to convey your enthusiasm for the job so make sure your voice reveals both your personality and attitude positively. Have in front of you your CV, job description, interview preparation notes and a pen and paper. Eliminate any distractions and if you need to refer to your interview preparation notes, do so discreetly. Competency based interviews are designed to predict future behaviours based upon past behaviours and experiences. It’s best to prepare for these types of questions by demonstrating how your past experiences have allowed you to develop specific skills and how these skills could subsequently benefit the prospective employer. Your whole interview may sometimes be purely competency based, but usually, such questions are mixed with other interview styles. Every job will have a set of key competencies, some of which are essential and others desired, but all are required to perform the job properly. Competencies vary from employer to employer, but most employers usually have a mix of job specific competencies and general competencies that are common across the business. If you are to be interviewed in this style, ensure your consultant provides you with the competencies the prospective employer is most interested in. 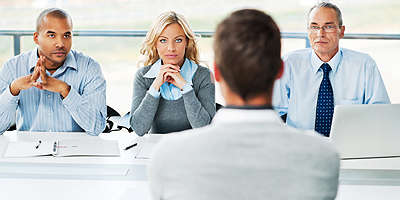 For more help, see our in-depth guide to competency based interviews. One to one interviews are usually used when it has been established that you posses the rights skills profile necessary for the position. They are usually used for second or third stage interviews whereby you will be interviewed by a number of different individuals from the business. The idea is to gauge whether you will be a good fit with the company, culture and values. They explore how your skills complement the rest of the organisation. Your goal should be to establish rapport with each interviewer and to demonstrate that your attributes are a good fit. Such interviews are often an alternative to the panel interview. Panel interviews are a common practice. You will face several members of the company who have a vested interest in the hiring decision. Interviewers may include, the Hiring (Line) Manager, Departmental/Segment/Regional Head, HR Manager and related/dependent function managers. Panel interviews are either well structured with a cohesive approach in seeking to identify why you may be suited to the job, with each interviewer assigned an area in which he will asses you. Alternatively, they may be unstructured and quite intense, as each interviewer takes it in turn to pursue their own line of questioning. They often assess how you respond to hypothetical questions or construct your approach to various business scenarios and how you would apply your skills, knowledge and experience to a real life business situation. Remember, to maintain eye contact with all members of the panel when responding to questions. Stress interviews are designed to explore how you handle yourself in a stressful situation, as created by the interviewer. 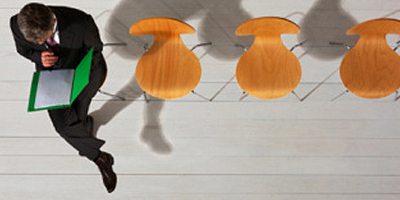 The interviewer may keep you waiting in an attempt to raise your anxiety level. During the interview, he may be confrontational, sarcastic or argumentative. You may also experience attempts to unnerve you by the interviewer lapsing into silence at some point during the questioning. Such techniques, if used, are usually reserved for second/third interviews and often used sparingly. This is unlikely to happen in the Middle East but is very well know technique and so good to be prepared for. 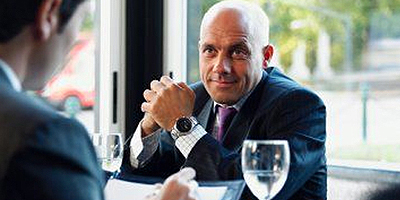 Role- play interviews are usually integrated into any of the above interview styles. The interviewer will ask you to assume a fictitious role in a hypothetical business situation, which will clearly be explained to you. You will be given a specific task to accomplish during the role-play, whilst the interviewer assumes the role of a customer, supplier, employee, manager or business associate. Often several interviewers or even actors may be involved in the scenario and each will be pre-prepared to respond in accordance to your particular approach. These types of exercises are usually designed to measure your communication, influencing, sales, negotiation and interpersonal skills. 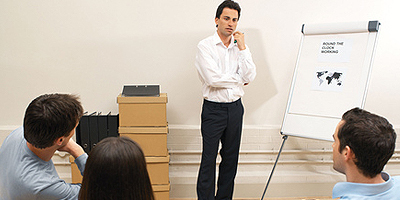 Presentation interviews are also usually integrated into any of the above interview styles. They tend to be reserved for either second or third stage interview, but can also be used as an effective screening mechanism at first interview stage. You will be provided with details of the presentation topic and any supporting information as required, in advance of your interview. You will also be given an indication of how long the presentation should last. It has been known, however, for interviewers to surprise you on the day of the interview by asking you to deliver a short presentation on a subject you are already familiar with. These types of exercises are usually designed to measure your talent for effective organisation, your communication and persuasive skills, and your ability to collate and analyse information. Remember to stick to your time limit, deliver any key messages confidently, maintain eye contact with the audience and be visually expressive. Where possible, prepare your presentation on soft copy slideware for a professional delivery. The same rules apply in lunch interviews as in those held at the office. The setting may be more casual, but it is a business lunch and you will be carefully scrutinised. You must develop common ground and rapport with your interviewer to eradicate any awkwardness the informal setting may bring. Remember to remain professional at all times and once you have settled into your surroundings, treat it no differently to a standard formal interview. Limit or avoid alcohol intake and remember table etiquette. If you are looking to relocate then it is always important your familiarize yourself with the local customs. At Career Intelligence we offer Career Coaching service. Coaching from a specialist coach can help you go through various scenarios you may face before the interview, receiving feedback from the coach and how you can improve your approach. If you feel like you would benefit from such a situation, then get in touch with us today and we’ll start identifying which coach would be better suited for your needs. Is Your CV ‘Recruiter Friendly’? Very helpful to everyone who seeks good and quality do’s and don’ts interview protocol. Thank you, Luistito. I’m very glad you found this post helpful!